Up the stakes in this high-compression waist trainer from Pure Shapes. The Workout Waist Band is specially designed with a latex core to not only slim your midsection, but also increase thermal activity around your belly and back. That means you'll work up a harder sweat during runs, walks, aerobics, sports, weight training and other physical activity. The more you use your waist training cincher, the more you'll know your exercise is working. Wear this latex waist cincher under gym gear, clothes or for special occasions. It stays discreet and hidden underneath most outfits. But with its bold, vibrant color and body-transforming fit, you'll want to flaunt it as often as you can. 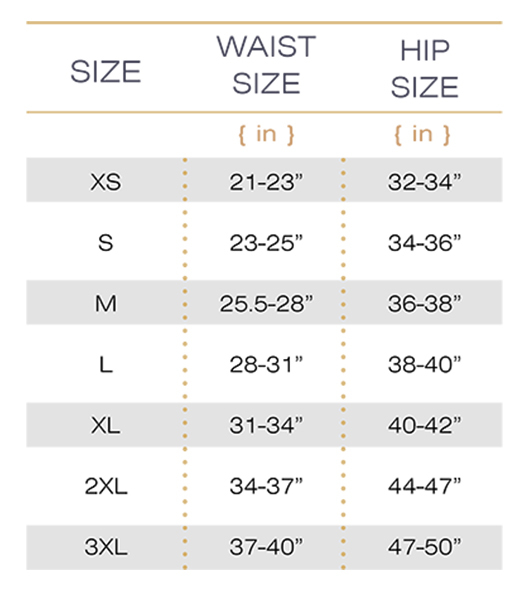 The workout waist cincher slims your waistline by 1 to 3 inches while you're wearing it. Flexi-boning provides additional midsection control, helping to smooth bulges and flatten your tummy. Three rows of hook-and-eye closures provide a secure fit that can be adjusted to a changing body.